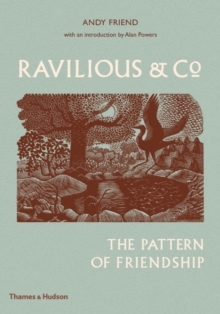 In the 75 years since Eric Ravilious’s untimely death in the Second World War, he has become one of the most popular and important artists of the twentieth century. His association with Edward Bawden is well known, but his wider circle included artists, friends and lovers who influenced and supported each other in many different ways. Mainly brought together by Paul Nash’s teaching at the Royal College of Art, the group included his wife Tirzah Garwood, Peggy Angus, Enid Marx, Helen Binyon and others. Andy Friend’s fascinating and ambitious group biography traces the links and influences between them, giving more prominence to the women in the group than has perhaps been done before, and illuminates the shared experiences that gave rise to some of the finest art and design of the period. Plentifully illustrated, this book is as beautiful as it is enthralling.